Litchfield, North Litchfield, and Litchfield by the Sea are all located on an eight-mile stretch of beach in the Waccamaw Neck section of Georgetown County, South Carolina. The Waccamaw Neck is a long, narrow stretch of land bounded on the east by the Atlantic Ocean and on the west by the Waccamaw River (the largest freshwater section of the Intracoastal Waterway). 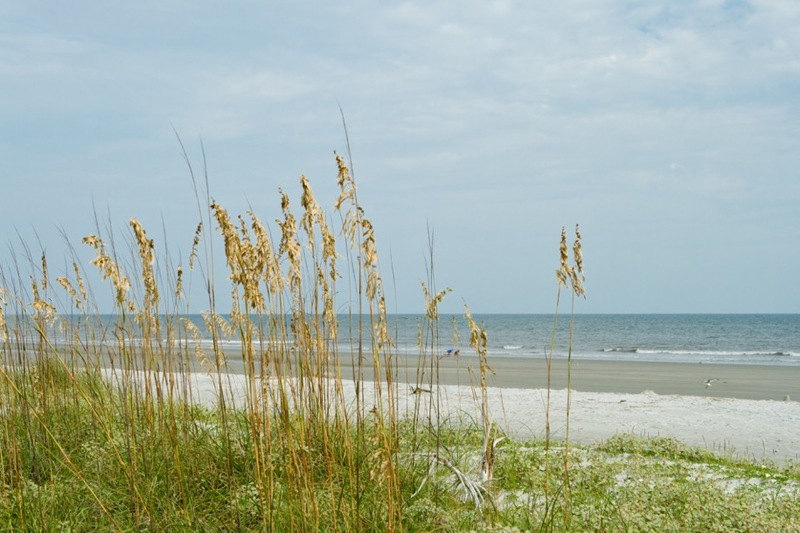 The next beach south gives this special area its name, Pawleys Island. The name’s a bit of a misnomer because there are really four beaches, the three at Litchfield, plus Pawleys Island, itself. An aerial photo shows our three beaches with Litchfield in the foreground, Litchfield by the Sea a little higher in the photo (where the large oceanfront buildings are situated) and North Litchfield just above that. The areas on the north and south ends of the eight-mile stretch are secluded. Beach development has come without the density of Myrtle Beach, Garden City and Surfside Beach, the beaches just north of us. This area is home to little and great blue herons, snowy egrets, osprey, gulls, and pelicans, among many other waterfowl. Sea turtles nest on the beaches here, and you can safely look at alligators at Huntington Beach State Park, just north of North Litchfield Beach. Other wildlife, as well as the world’s largest collection of outdoor statuary, can be seen at Brookgreen Gardens, a five-minute drive. Here, stately oaks shelter more than 400 pieces of artwork, encompassing a wealth of American sculpture dating from the 19th century. There are great restaurants. The crab soup is a specialty, but there are other bounties from the sea. Like plump jumbo shrimp (you can catch smaller ones on your own in the salt creeks here if you want to invest in a net and have lots of energy), succulent oysters, soft shell or blue crab and the very freshest of fish in settings from casual to casually elegant with outside dining. We’ll be glad to give you our own personal list of favorite restaurants. There are charter trips three days a week to Bull Island off Cape Romain which is south of Georgetown. You can catch a 30-minute boat ride to the island for a day of fantastic shelling. Shell treasures might include Scotch bonnets, whelks, sea urchins and horse conchs. Bull Island is wildlife untouched, featuring some 250 species of birds, 16 miles of trails and Boneyard Beach. Bring everything you’ll need for the daylong excursion, including sunscreen, insect repellant, hats, picnic lunch and beverages – but don’t take more than you can carry. A half-hour north is Myrtle Beach, with fabulous entertainment complexes featuring top name country entertainers and more. Spring and fall have the best of everything. The best weather. The beaches have the fewest people. Fall weather is our choice for the prettiest of the year. Fishing is at its best. September days are fine and warm, nights are beginning to cool. October and November have temperatures in the 70’s and 80’s. Nightly lows range from the 40’s to the 60’s.